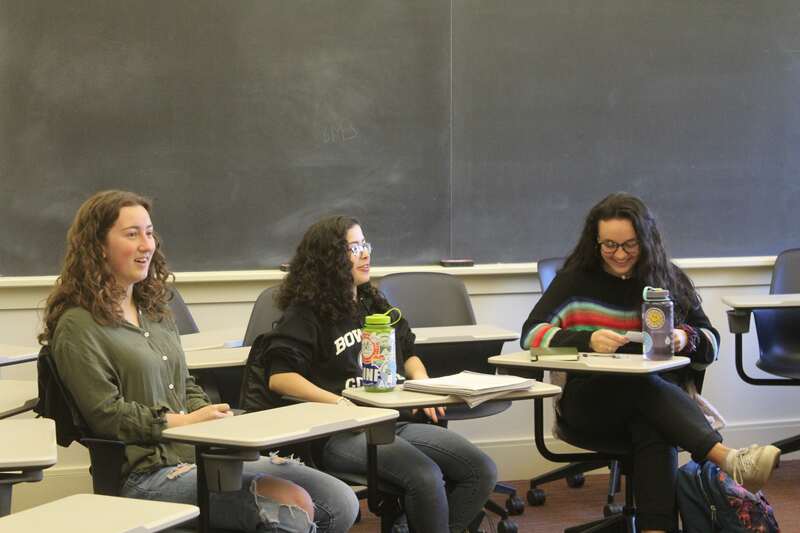 CREDITS THAT COUNT With new Middle East and North African Studies and Arabic minors, students in Arabic classes will be able to earn credit toward a College academic program for the first time since Bowdoin began offering Arabic courses in 2008. After years of discussion, faculty and administration are taking final steps to approve the creation of two new minors at the College: Arabic and Middle East and North African Studies. 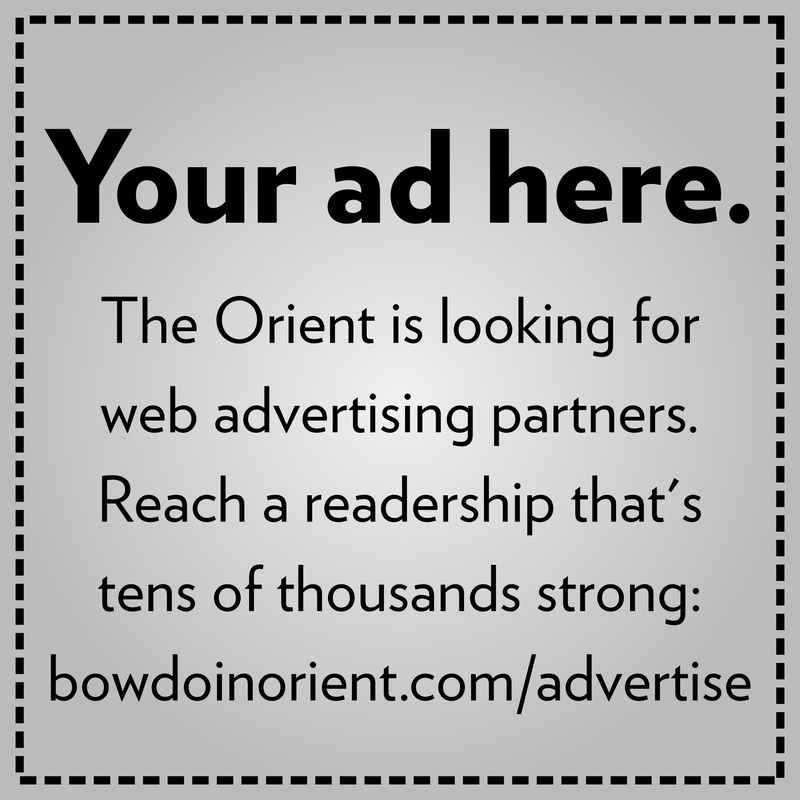 Bowdoin began to permanently offer Arabic courses in 2008 under Lecturer in Arabic Russell Hopley, who remained the single instructor of the language before leaving the College last year. A notable step was made to expand the program with the hiring of two new faculty members this year: Lecturer in Arabic Batool Khattab and Andrew W. Mellon Postdoctoral Fellow in Arabic Pamela Klasova. Although they fulfill the humanities distribution requirement, credits from Arabic classes do not currently count toward any academic program at the College. Middle East Studies is a newer initiative at Bowdoin that has been spearheaded by George Lincoln Skolfield Jr. Professor of Religion Robert Morrison, who specializes in Islam and Judaism. “My motivation for pushing for a Middle East Studies program is primarily so that Arabic language instruction is integrated into our curriculum,” Morrison said in a phone interview with the Orient. 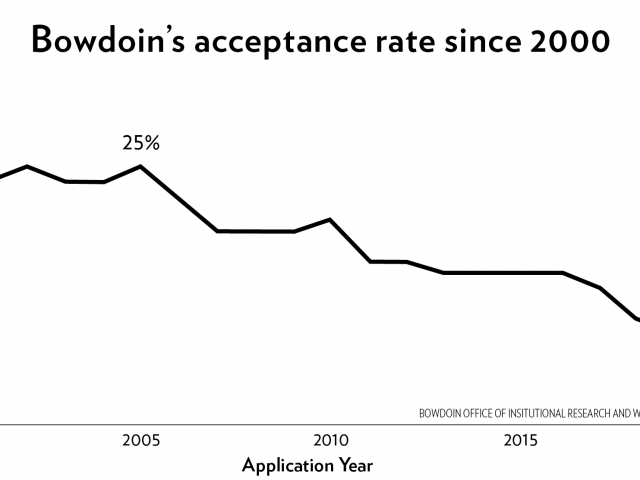 While Morrison noted that the Arabic program and overall focus on the Middle East at Bowdoin is not as developed as those at many other peer institutions, he is understanding of the College’s small size and the limits that it may pose for the growth of the program. During the 2016-17 academic year, the College took interest in Morrison’s idea for a minor and encouraged him to develop the idea further with a working group of faculty over the summer of 2017. Morrison credits a shift in the administration, and specifically encouragement from former Dean for Academic Affairs Jennifer Scanlon, for helping him put the idea into action. He also cites the addition of faculty in many academic departments as important for the growth of Middle East Studies, including Andrew W. Mellon Postdoctoral Fellow in History Idriss Jebari, Assistant Professor of Government Barbara Elias, Assistant Professor of Sociology Oyman Basaran and Assistant Professor of Romance Languages and Literatures Meryem Belkaid. Jebari came to Bowdoin in the 2017-18 Academic Year and focuses on the Middle East and North Africa. He actively expressed interest in the minor in conversations with Morrison as a logical step forward for the program. “I think going forward, there’s definitely enough of the ingredients on campus already here right now to take those elements together and establish a minor,” Jebari said. The proposed minor in Arabic will require four language courses and one content course, whereas the minor in Middle East and North African Studies will consist of two language courses and three courses in the subject areas of religion, history and politics. The opportunity to further establish the Arabic program at Bowdoin is something that excites professors such as Klasova. She came to Bowdoin from Georgetown University, which is home to one of the country’s most established Arabic programs, making her transition to Bowdoin significant. She teaches both advanced Arabic and a content course on myth in Arabic literature, which is cross-listed with the religion and classics departments. “It was challenging at first. But at the same time, the advantages [are] that we can change things. We can build the program and anything that we do, it has an impact,” she said. Klasova has worked through several other channels to expand the Arabic program at Bowdoin. She and Khattab revived the Arabic language table at the beginning of this academic year, and Klasova has worked for several months to secure funds to invite Alaa Al-Aswany, a famous author and leading figure of the Arab Spring in Egypt, to campus. She notes that interest from students has been key in encouraging the growth of the program. Khattab is also a new addition to Bowdoin’s faculty, having spent time at several other NESCACs—including Tufts, Middlebury and Williams—and also teaching at Middlebury’s intensive summer language school since 2008. Last semester, Khattab had an intense schedule, teaching three Arabic courses, two of which met three times a week. Although her course schedule this semester is more manageable, she is optimistic that the College will hire more faculty in the future and eventually offer a tenure-track position in order to solidify a more diverse array of course offerings. Khattab is also hopeful that the College will eventually offer a four-year Arabic track, rather than the three years currently offered. She has a background in the performing arts and hopes to offer a theater content course taught in Arabic one day. She emphasized the importance of studying the Middle East to better understand and contextualize modern-day issues and conflict in the region. Like Khattab, Jebari emphasized the importance of the Middle East as an area of study and highlighted student enthusiasm in the course offerings already available at the College. Students expressed widespread enthusiasm after hearing buzz of the two new minors. First-year Firas Abboud is enrolled in Khattab’s Elementary Arabic course and said the language has played a key role in his first two semesters at Bowdoin. Abboud comes from a Lebanese-American background and grew up hearing Arabic. He came to Bowdoin looking forward to pursuing the language in a college setting. Morrison noted that the new minor proposals ultimately boil down to breaking through cross-cultural boundaries and encouraging a more holistic understanding of global issues.